One of the museum’s founders purchased these from the Hearst Collection in California. 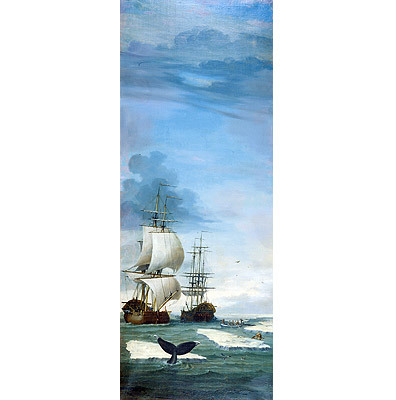 After his family left Searsport they were in the whaling business and collected whaling art. Here a whale is being harpooned. There is a walrus on the ice and the whaler Europa in the background.